Born in Tokyo in 1988, Saiko Iwakura got her first piano lesson at age 5. In 1999 she was given the honor of performing the world premiere of a piece by composer Keiko Fukuda. One year later, she was awarded a prize in a national piano competition. She participated in the japanese national competition for school students in 2002 and 2003, attaining the final round the first time, and winning the first prize on the second. This allowed her to perform during the winner's conert. She was awarded a prize from the city of Meguro that same year. In 2004, she was admitted in the Toho Highschool of Music in the class of Prof. Yoshimi Tamaki. During her whole time at Toho, Saiko was a part of every student concert organized by the school including the graduation ceremony, an honor only given to the best students. She was also invited to perform in the 6th edition of the "young pianists concert" in Kanazawa. 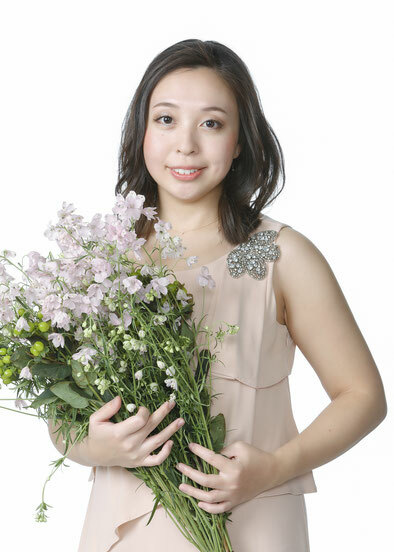 In 2005, she won the 59th edition of the japanese national high school students piano competition, which allowed her to perform again in the prize winner's concert in 2006. She continued her musical education in the Toho university from 2007 until her graduation with honors (valedictorian) in 2011. In 2008, the Toho orchestra accompanied her in Beethoven's 1st piano concerto, under direction of Kazuyoshi Akiyama, an honor given only to her at the time. One year later, her first solo recital followed, in the Tomono hall in Tokyo. She was also part of the chamber music collaborative concert Rainbow 21. That same year, she was awarded the J.S.Bach prize in the international piano competition of Yokohama. In 2011, the Yomiuri Shimbun (newspaper) invited her among other top ranking japanese students to perform in a concert. She was also invited to perform chamber music in front of the japanese emperor in the imperial concert hall "Touka Gakudo". During the same year she performed Ravel's G-Major concerto with conductor Yugo Matumura and the Paulownia orchestra. From 2011 till 2015 she has been studying at the Berliner university of arts (UdK) in the class of Prof. Klaus Hellwig. From 2016 she studying at the Lübeck College of Music in the class of Prof. Konstanze Eickhorst. And in the year 2018 she took the master's degree with the best score (1.0). She played with Lübeck College of Music orchestra the Firebird by Stravinsky. In 2017, she was a Semi-Finalist of Ile de France Intarnational Piano Competition. In Japan and also in Europe she playing many concert at famous Halls. In April 2018 she returned to Japan completely and her concerts of solos and chamber music are planned. Saiko Iwakura participated in many masterclasses, and was granted advises from many reknowned pianists, among them: Jacques Rouvier, Pascal Devoyon, Krzysztof Jablonski, Avo Kurumdjian, Kevin Kenner, Rainer Becker, Hisako Ooshima, Tomoko Yamada, Sumiko Mikimoto.